Clyfford Still Museum Tour Saturday, December 17th. 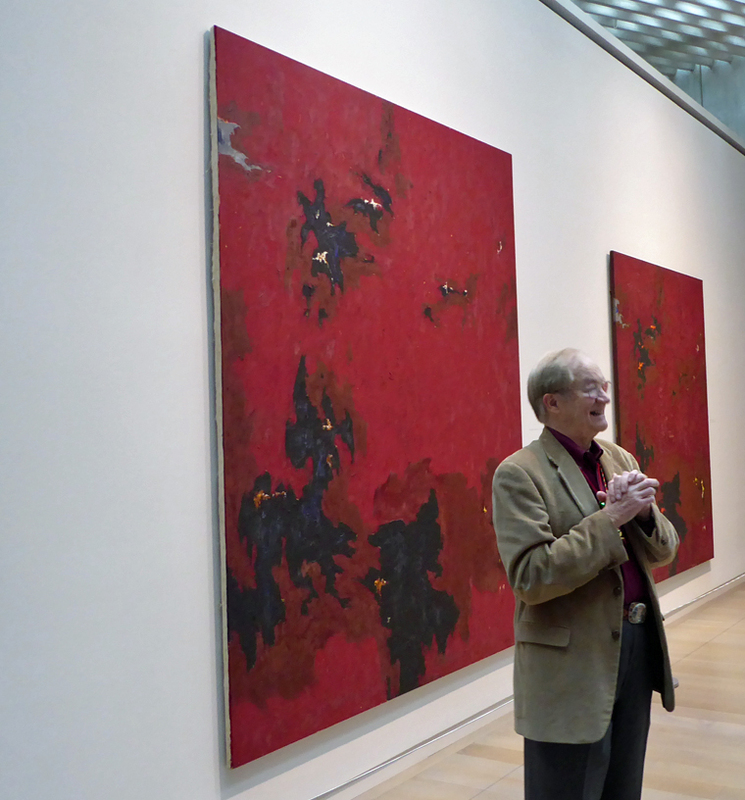 For the second year in a row, the artist's nephew, Curt Freed AB '65 MD '69, will treat alumni and their guests to a private tour of Denver's one-of-a-kind Clyfford Still Museum. --Please note this event is at full capacity as of 12/6. The Clyfford Still museum is one of the very few museums in the world solely featuring works from a single artist. The museum itself was custom-built to house these exhibits. In my opinion, the current exhibit is the best of the last two years, featuring a plethora of smaller works while the artist's more well-known, larger works "take London by storm" at the Royal Academy of Art. The Clyfford Still Museum is a must-see in Denver. Still's works are best seen with an experienced guide, and we have one of the best guide among us as Harvard alumni. Curt Freed was instrumental in locating the museum in Denver. He has generously volunteered to tour the museum with our group from 2-4 on Saturday, December 17th. The cost is only $10 per person, normal museum admission, paid at the door. After the tour, those who are interested will retire to nearby Pints' Pub for libations. This event is full as of 12/6/16. If you would like to be on the wait list, please let me know (jkjkcostello@gmail.com). Likewise, if you have RSVP'd and cannot make it, tell me so that I can open a spot for another alum.